If this isn’t a trend you’ve heard of yet, it’s only a matter of time. 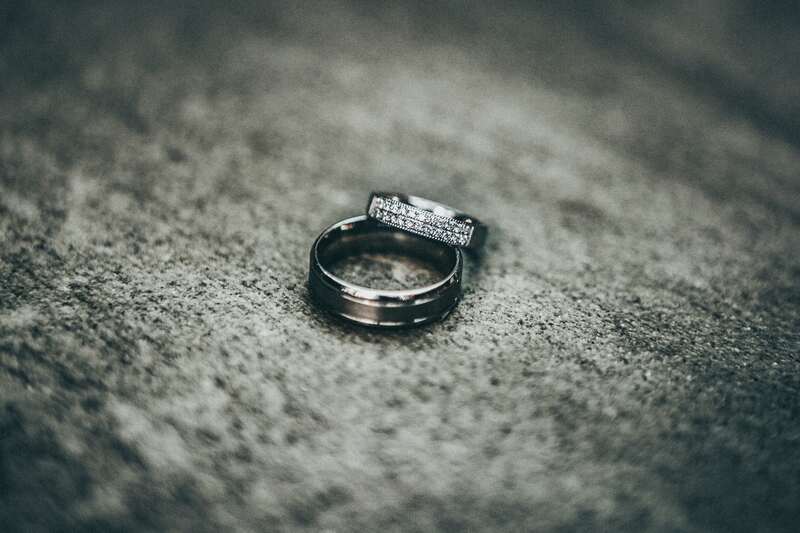 As people yearn for a unique twist, some people, men especially, are turning to Black Diamonds for their wedding bands. Unlike wedding rings, men’s bands tend to have less focus on the gemstone itself and more focus on the actual band. While most men’s bands tend to be platinum or white gold, men are starting to experiment with black diamonds in their bands as well. Essentially you take a string of small black diamonds and line them along the band in a pattern. This is usually accompanied by white gold, giving a smooth and sleek feel that will get a little more attention than the typical band. Since black is a neutral color, it can be paired in several ways. For those that aren’t looking to make a statement such as the one that diamonds would provide, you can add black diamonds to your band. The white gold look with black gemstones accenting it have resulted in some very interesting bands and more fantasy-esque designs. A commonly overlooked option with some rings are engravings. These are typically the initials of your loved one or the year you got married. Some people choose to go with simple lines such as “Eternal” or “Forever”. Of course, the engraving length depends on the ring size and engravings have a tendency to wear down and smooth out, which should be considered when deciding whether to get one. At The Diamond Reserve we offer the engraving to inscribed in your significant other’s handwriting in men’s bands. Platinum tends to be a fairly overlooked metal as the texture of it isn’t generally aesthetic when combined with traditional diamonds. With black gemstones, however, it’s a much better look as the two compliment each other very well. Even better, platinum doesn’t tarnish and is an extremely hard metal, so it can endure more abuse than the normal ring. Platinum can be a bit harder to pull off, but in the hands of a true expert it can be a powerful statement.